I’m finally making myself a pair of Hedgerows. 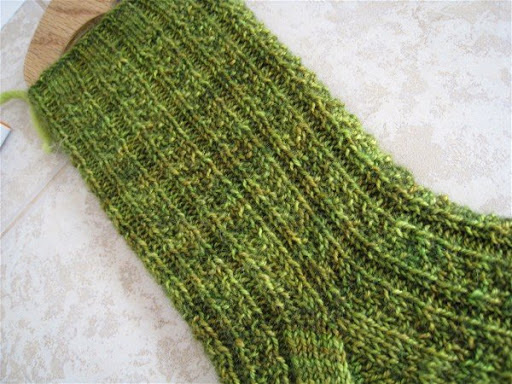 This is Sundara Sock in the Seasons Club Autumn color “Mossy.” It is incredible. I am a very happy sock knitter. Thank you, Sundara! I haven’t been able to part with the original pair, though they are meant to be, need to be on the feet of a Dear and Remarkable R. Now, I think I can let go. 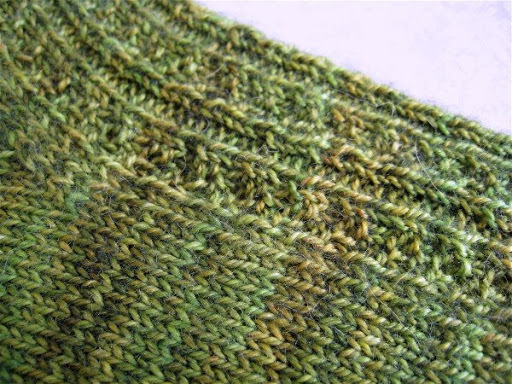 This is the square heel of a Wishbone Sock. Sweet. I think I’ll do more of these. 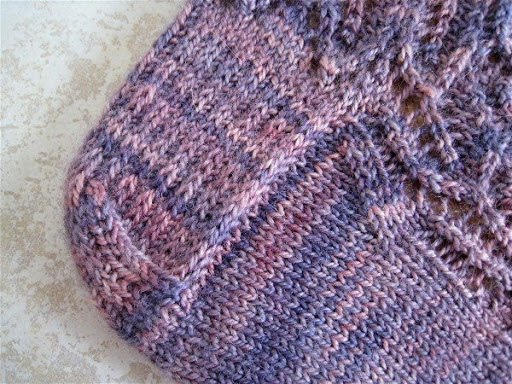 Thanks for the preview of the Wishbone sockI am on row 5 of the first repeat of the pattern – nice to see the finished product – and yes it was your website that started me on that pair!Next two pairs will include a Hedgerow pair I am sure… My second set is replacing a pair that walked away on my sisters feet. I’m so glad you finally made some hedgerows for yourself! 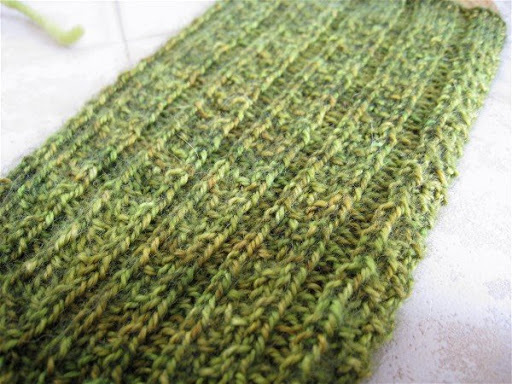 That yarn was made for Hedgerows…it’s just the color I pictured when I heard the name. Beautiful, as always, Jane. 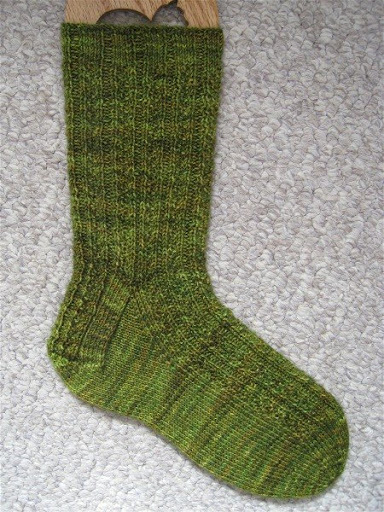 those hedgerow socks are stunning in the lovely green sundara yarn. Makes my toes think of spring! It is 5 a.m. and here is my train of thought… oooou. Pretty. Wishbone sock? Where is wishbone sock? Pattern? google… wishbonesock wishbonesock … where is wishbonesock … ravelry??? must find wishbonesock. Piecework??? What?? ?Borders doesn’t open until 10 a.m.! The internet is a dangerous place. 🙂 Please save me. You are the Queen of Socks. You are! Don’t deny it.Also love the happy face made with blueberries.Happy mid spring, Your Highness! Hope you’re well. That’s the perfect yarn for your Hedgerow socks. Nice looking Wishbone sock too.